Most of the gold bearing water in New Hampshire is located in the Northern and Western parts of New Hampshire, although scattered gold deposits have been found all throughout the state in limited quantities. A very short lived gold rush actually occurred in New Hampshire back in the 1860’s after a small gold discovery was made. It was quickly realized that the abundance of gold was nothing like the discoveries that were being made throughout the western United States, and excitement quickly diminished. While it is unlikely that anyone was getting rich mining for gold here today, there is still enough to make for a fun pastime. Although the northern and western parts of New Hampshire are likely to be the most productive, it will be worth your time to locate areas that have shallow bedrock available for sniping and crevicing in the cracks of the streams and rivers. Some waterways will have significant overburden, and getting down to the gold can take a lot of work. Most of the gold in New Hampshire was did not form here, but was actually transported south by glaciers during the past ice ages. Huge glaciers moved material from the rich goldfields in Quebec, and as the ice receded, small gold deposits were left behind. These glacial transported deposits almost always result in fine textured gold. Any large pieces of gold were pulverized into thousands of tiny bits. Thus, it is unlikely that you will be finding large gold nuggets in New Hampshire. 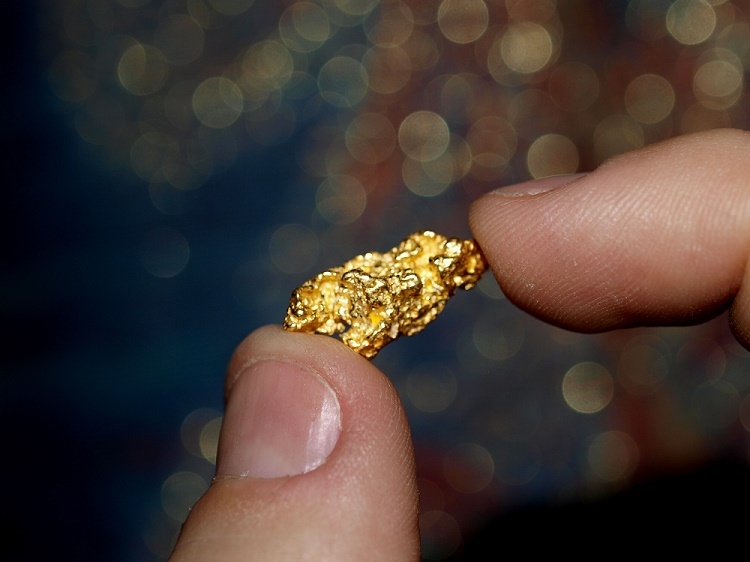 Expect to find fine placer gold, and consider any larger flakes or nuggets as a nice surprise! Big gold nuggets like this are exceptionally rare for New Hampshire. While it is possible to find one, you should expect them to be smaller. In fact most of what you will recover will be tiny specks of gold dust, much smaller than a grain of sand. The Ammonoosuc River is a very popular place for gold prospectors to explore. It contains placer gold along with many of the small tributaries that feed into it. The source of the gold in this area is from small lode deposits believed to be scattered throughout the area around the towns of Lyman, Monroe, and Bath, and around Landaff, Lisbon, and Littleton. Many of the waters in this region can produce small amounts of placer gold. Look for exposed gravel bars when water levels are low, and be sure to move around and explore different areas. 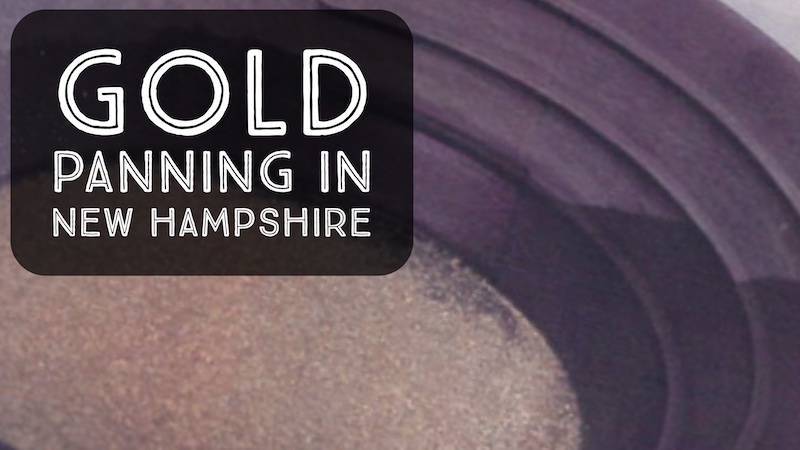 One of the most popular places to search for gold in New Hampshire is the Wild Ammonoosuc River. Gold can be found all throughout the river from its headwaters in the White Mountain National Forest down to where it empties into the Ammonoosuc River near the town of Bath. Soon after the original discovery of gold here, there were a handful of mines operating around the town of Bath on the Main Ammonoosuc River near the mouth of the Wild Ammonoosuc, and a decent amount of gold was recovered. Mining operations existed here for several years, but eventually the paying quantities of gold played out, and the mining stopped. Just over the hill to the north of the Wild Ammonoosuc River is Mill Brook. It drains into the Ammonoosuc River and the stretch from its confluence up to Chandler Pond near Landaff has gold. A few miles north of Lisbon, the Salmon Hole Brook flows into the Ammonoosuc River. It also has been known to contain some placer gold deposits. It empties into the river at Sugar Hill Station. Many of the small drainages that flow directly into the Connecticut River also have concentrations of placer gold, especially near the confluence with the Ammonoosuc River and to the north near the town of Monroe. Indian Stream flow into the Connecticut River downstream from the town of Pittsburg. Perry Stream is also another gold producer in this area that drains into the Connecticut River just upstream of Lake Francis and below first Connecticut Lake. Both of these streams flow for several miles and offer many areas to explore for gold. The Swift Diamond River is a known gold producer, which flows for about 17 miles from its headwaters to where it enters the Dead Diamond River, which also has some fine flour gold. The Baker River that flows through the White Mountains also contains gold. The area around the towns of Rumney and Plymouth is a good place to find a little “color”, also check around Warren and Wentworth. Anywhere within the river has potential. The Diamond Ledge Mine in Ossipee has also produced a bit of gold as byproduct to other mining activities. Total production is unknown but likely quite small since there were no extensive gold operations. Up in the northern part of New Hampshire there is gold that can be found in Indian Stream and Perry Stream in northern Coos County. Many other waters in this area will also produce gold in the vicinity of Back Lake, Lake Francis, and First Connecticut Lake. 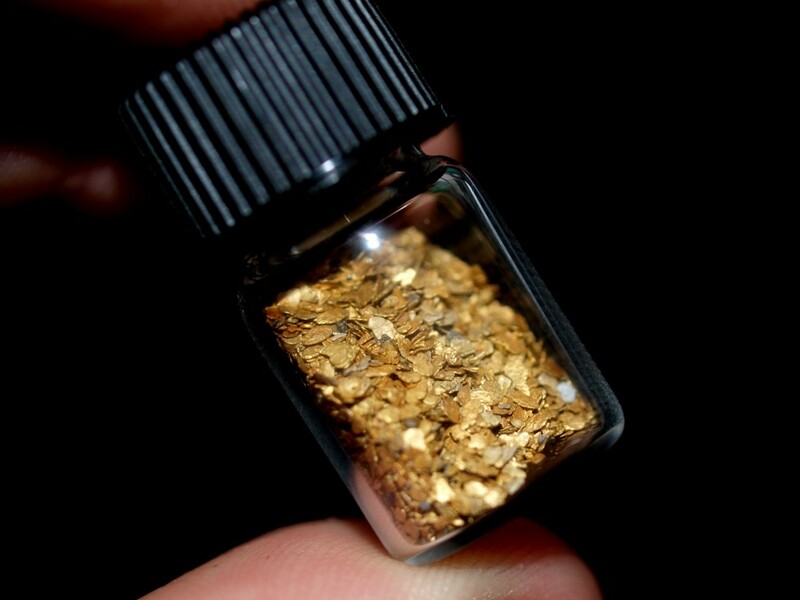 Gold has also been found in the Swift Diamond River in northern Coos County as well. It is also important to have a good understanding of the prospecting laws in the state. While gold panning is allowed year-round in most areas, use of larger equipment such as sluice boxes and suction dredges requires a special permit by the state. Even gold panning must be limited to “hands and pans”, and using shovels and other hand tools are not allowed to be used without a permit. Miners can apply for a ‘Recreational Mineral Dredging Application’ which costs $25 for residents and $50 for non-residents.